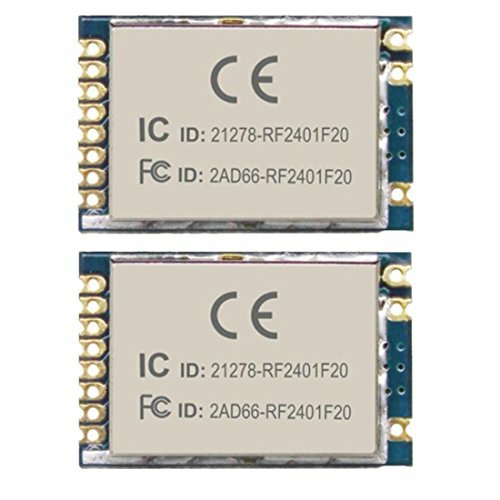 RF2401F20 Module is a high integrated wireless module,which worked in 2.4GHz of ISM band. RF2401F20 adopts Nordic's RF chip nRF24L01+ and high efficiency RF amplifier.The feature of high data rate (maximum 2Mbps ), good sensitivity （-102 dBm） and high output power (+20dBm ) but low harmonic and low unexpected radiation extend the range and improve the link performance. ★ This module got CE、FCC、ETSI approvals. The feature of high data rate (maximum 2Mbps ), good sensitivity （-102 dBm） and high output power (+20dBm ) but low harmonic and low unexpected radiation extend the range and improve the link performance. If you have any questions about this product by Luabby Smart, contact us by completing and submitting the form below. If you are looking for a specif part number, please include it with your message.